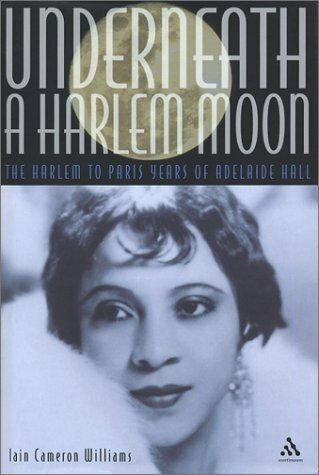 Adelaide Hall is the missing link in Harlem's Renaissance, historically the richest period of American black culture. As its most important and influential female star, she dynamically pushed down the barriers that had previously prevented black entertainers from reaching mass recognition. The astounding media attention she received on both sides of the Atlantic during her two-year starring role in Lew Leslie's Broadway revue Blackbirds of 1928 turned Adelaide into what can only be termed the first modern-day international black female superstar.With fame came controversy. On Broadway, Adelaide's performance incited a riot. After purchasing an exclusive estate in the predominantly white suburb of Larchmont in Westchester, New York, the segregation and persecution she encountered from her racist neighbors hit national headlines.In Underneath a Harlem Moon, Williams takes the reader on a fascinating roller-coaster ride from Adelaide's birth in Brooklyn through her humble childhood in Harlem, from her triumphs on Broadway to the glamour of Paris's Moulin Rouge. Readers get a glimpse inside the most sophisticated and celebrated nightclubs in the world and follow Adelaide across two continents on a groundbreaking eighteen-month RKO tour. By the end of 1932, Adelaide had performed for millions and in the process had become one of America's wealthiest black women. Her exile to Paris in 1935 brought with it new challenges and rewards. By 1938, not content with being dubbed the Queen of Montmartre, she set her sights on conquering Britain. 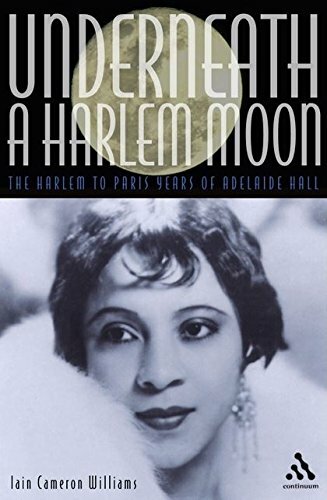 Underneath a Harlem Moon concludes with Adelaide's mysterious disappearance in November 1938, which has, until now, never been publicly explained. "This is a book that should most definitely be high on your shopping list, not only for an excellent account of an unjustly neglected artist, but also for a valuable insight into the music and vaudeville world from the viewpoint of black performers. Highly recommended. Underneath a Harlem Moon is Iain Cameron Williams' first biography. He was a close friend of Adelaide Hall from 1971 until her death in 1993. Having previously worked as a musician, producer and composer, he released three records under various stage names and co-wrote the song 'Give me one more chance' that represented the United Kingdom in the 1990 International Song Festival. He lives in London's Notting Hill Gate.